We take a break from military history to tackle our second love, fantasy. What better place to start than one of the first books written using the new theme of "mundane heroism" started by JRR Tolkien. 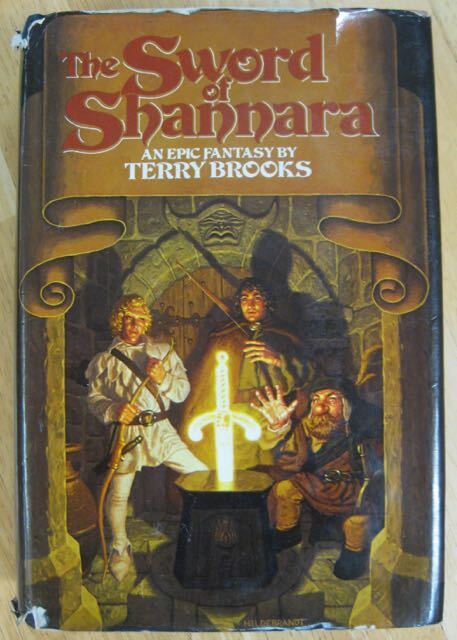 Sure, The Sword of Shannara has its flaws but it does hold a special place in history as one of the earliest books in the fantasy genre to reach 125,000 sales in the first month of its publication. Therefore it proved that the fantasy genre could sell and be profitable for a publisher, and it also showed that there were a lot of us fantasy fans out there in the real world. Author Terry Brooks had the right books at the right time in history. 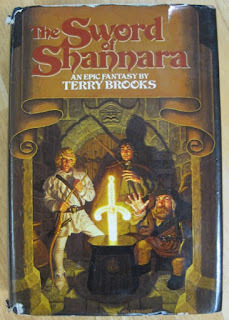 The book is part of a trilogy that includes The Elfstones of Shannara and Wishsong of Shannara. Perhaps the new series The Shannara Chronicles on MTV may rekindle some interest in these books. Hey, you gotta like that Hildebrandt Brothers cover painting anyway. Look at that sword glow. The music for this show has been provided by Purple Planet. Maybe we can meet up sometime at a tourney. We just did a one day stint at Gen Con and should have contacted you. Roll High and May the Crits be With You.